1. Cleaning and decontamination? This is a giant issue that only some vendors can talk about at all. CSTD or not, if a vial is dropped/shatters or a septum leaks inside one of these, the wreckage needs to be removed and all of the fluids removed from surfaces and cracks and crevices. Is there a clear protocol provided? If so, does it pass the “yeah, I see how that would be thorough and safe…” test? If not: the interior of the device has to be assumed to be forever contaminated. Now what? 2. Septum penetrations? Reality: there are a limited number of times a septum (or the add port on a bag) can be penetrated before it’s no longer a working barrier. 3. Syringes make miserable pumps – BUT Most devices rely on using syringes as their main/only fluid transfer devices. Syringes were never designed for robotic manipulation and aren’t cleared as such. There are innumerable ways to misuse a syringe (example: “cocking” of the piston because forces aren’t applied exactly linearly at the centerline.. ) What’s the big deal? Fluid movement is the slowest step in IV prep… Most robots are slow because they can only pump as fast as a syringe will permit AND they are not moving fluid a significant percentage of total run time…. Do the math. Interesting article Jerry and good points added by Dennis. I do not want to use this plattform as a marketing resource therefore I will keep any branding info out of my response. I do agree with the majority of Jerry and Dennis comments. However wanted to share with you that a third generation of IV robotics is coming into the market providing solutions for some of the problems you have mentioned in your comments. Systems which include built-in “auto-cleanning” features with proven (by data) chemical decontamination capabilities. Strong IQ/PQ processes are part of the systems’ implementation process including very detailed operational procedures to address all aspects of the use of the technology including, as an example, cleanning procuders if/when an spilleage occurs, complete quality management tasks (users qualification, new drugs’ qualification, MFT, recommended environmental monitoring testing, ..), criteria for releasing doses for patient use based on double gravimetric control and final diose accuracy and more. 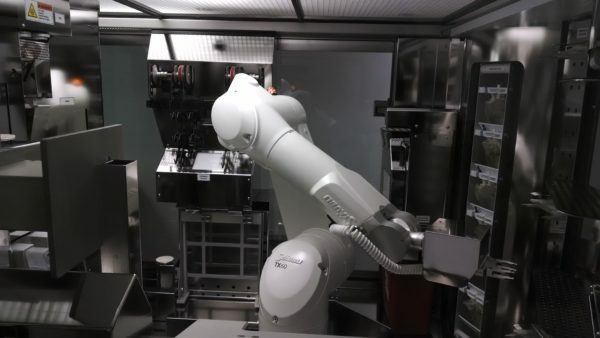 Formulary limitations are also being significantly improved: as an example, one of the current new robots implementations has 50 different drugs in the library and more than 261 validated NDCs that can be used by the tecnology. Thanks for stopping by, Juan Miguel. I think I speak for everyone when I say, I hope to see your new product soon. We would all like to see improvements in this area. If there were ever the “perfect” example of “the devil is in the details”, it’s evaluating IV Robots. There is – at least in my view – a strong market for IV Robots that do what they say they will do, “know their role”, and are built and deployed with thorough preparation to ensure that customers will be successful for the long term AND the short term. LOTS of examples of robotics installations that didn’t meet expectations because there wasn’t alignment between needs an capabilities. Look forward to seeing more offerings that make sense/do what they claim to do. I am totally agree with Jerry ! Robotic old and new génération are not efficient (productivity security…) and most of pharmacist don’t know data about robotic performance wich promise by industrial . It would be good to Share about France robotic feedback ! Human operator with ivwms are supérior than robotic compounding . Marketing ?? ?